I haven’t been able to write lately, for reasons which I do not wish to elaborate on. A combination of Mercury being in retrograde until the 20th of July (Mercury rules both Gemini and Virgo – of which I am an eccentric Gemini – and interrupts communications), and some personal and business reasons has had me having a case of both writers block, and feeling truly uninspired. I’ve been on a self imposed “time-out” as my delicate spirit can only process so much at once. And there’s a bit too much going on right now. Just last weekend I was told how much people enjoy my writing style. I was even introduced to some people as being a “writer”. I love that. Because being a writer is actually what is number one on my bucket list. Those that know me personally say its like sitting down and speaking with me. That I write honestly and articulately. It’s encouraged me enough today to pull my finger out and get something up on my site even though I’m not particularly in the right headspace to write at the moment. I almost feel as though I’m letting my readers down if I don’t churn out at least something. I’m in what you would call a bit of a “funk”. This happens to the best of us, and some more frequently than others. I had a conversation with my Mum yesterday , who told me that ever since I was a little girl I’ve always doubted myself. Always needing reassurance. Never being able to make a decision. “You’ve always been fragile” she told me. I am. I’m super sensitive, which I’ve touched on in previous posts. Fragility means I fall apart quite easily, and often. I think that happens with us creative souls. I think we are a little too connected with the universe and we feel everything a little too intensely at times. And being fragile means you are quite vulnerable to the things surrounding you. Which can sometimes disturb the equilibrium of your soul. Without going into too much detail, I do feel compelled to share this piece of advice today. Relationships of any type, whether it be romantic or otherwise, are the hardest thing you will ever have to endure. I say endure as it is a test of endurance. And a test of resilience. One thing I’ve learnt is that one must be willing to compromise. And sometimes, the level of compromise required can lead to an agreement of unconventional sorts being put into place. Whatever works I say. Back in the day, I thought I’d grow up, get married, have kids, and live happily ever after. Happily ever after. Life, after all, is not the a fairy tale we are lead to believe it is. Life is a roller coaster ride full of elating highs and sometimes terrifying lows. Life doesn’t come with a book of instructions and what might work for some doesn’t necessarily work for others. And life doesn’t always go according to plan. Far from it actually. And when it comes to making decisions, we can seek the counsel of others, however in the end, the ultimate decision lies solely with us. Do we follow our head, or do we follow our heart? Intuition is a strange phenomenon. It’s a gut instinct on what we feel compelled to do, often times for reasons we cannot fully comprehend, and only in hindsight will we be able to look back to see whether or not we have made the right choice for ourselves. As my father tells me “if you make the wrong choice, so what? It’s better than making no choice at all”. Fear can paralyse us all at times, but not making a decision means nothing can change. So it takes an enormous amount of courage to make a decision. Everything around us is constantly changing and evolving, it’s only natural that as human beings we go with the flow and follow our hearts desire. In the end, happiness (and of course health) are paramount. And like I always say, do whatever gets you to where you need to go – even if it is outside the box of what is considered normal. So my decision for today was to write, and get something out there and any other decisions which need to be made, I will listen to my intuition, and whatever signs the universe sends me and things will turn out no doubt exactly as they’re meant to. There’s nothing like some sort of a crisis to reveal who your real friends are. Over the past few months I have come to discover the meaning of “fair weather friends”. Friends that are only around during the fun times. Friends that are only available for social outings and gatherings. Friends that in the midst of a crisis, are nowhere to be seen. Friends that I refer to as “ostriches” – they have their heads firmly planted in the sand when it comes to life, and the sometimes obstacles that we face. So what happens when life hits a bump in the road? Who do you lean upon for support during times of upheaval and confusion? Your friends – right? My eyes have certainly been opened in regards to who “has my back” so to speak, and my greatest support has come from the least likely of acquaintances. Friends who have tirelessly let me cry and vent, who’ve allowed me to have frequent meltdowns and completely fall apart at the seams without thinking I’ve lost the plot or them abandoning me. Answering phone calls at all hours of the day and night, and constantly checking in on me when I’ve become somewhat reclusive and given myself a “time out” of sorts in order to clear my head and attempt to centre myself. I think the most important thing that friends have shown me is not only compassion but not by judging me. And the ones that have judged are the ones who have disappeared swiftly to the sidelines as if I’ve been afflicted with some highly infectious disease that needs to be avoided at all costs. Who are we to judge anyway? Nobody knows what goes on behind closed doors and to make an assumption based purely on what you think you know about someone, is not only ignorant, but also, disrespectful. Let me tell you, life is not black and white. It’s all the colours of the rainbow, and sometimes every possible shade of grey. Perception is an interesting thing. A lot of the time, people only allow you to see what they want, and it can be easily controlled with social media too. But keep in mind, that more often than not, things like Facebook, and the like, only offer highlights of what is going on in someones life. Although everyone is of course their own person, entitled to their own opinion on what that think may have transpired within someone else’s circumstances , unless you a have walked in the other persons shoes, you haven’t earned the right to pass judgement on someone else’s life and what it may appear to be as a mere observer. We choose who we trust to confide in, to allow ourselves to be weak and vulnerable. If you are one of those chosen ones, just know how incredibly important, appreciated, and loved you truly are. You know who you are. At the end of the day, unless someone has reached out to you to ask you for advice, in no way should you think that freedom of speech is relevant or warranted when it comes to what goes on in someone else’s life, nor what decision is best for them. We are all individuals who can only make whatever decision we think is best for ourselves. I come from a place of yes. In high school, awards were handed out at the end of the school year. I was awarded the title of “Little Miss Negotiable”. I was constantly trading my exciting lunches for things I didn’t even want. “I’ll swap you your pasta salad, for this apple”, my friend would tell me. “OK”, I would respond. And I’d end up with something I never wanted to begin with. I say yes to everything. 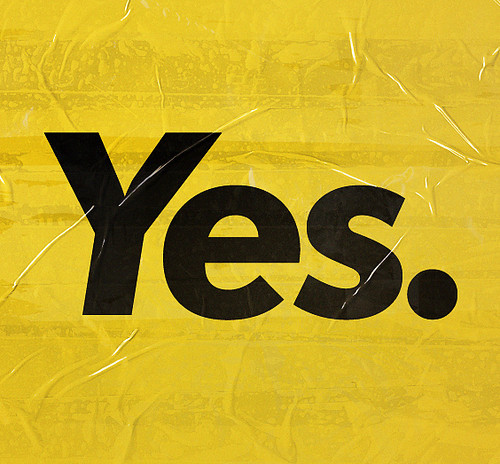 My most common response to things, is “yes, no problem” – but is it really “no problem”? It’s imperative that we know what we want, however constantly seeking approval from others is something that can be a dangerous thing. The only approval we need is that from ourselves and needing the validation of others is not something that should be high on our list of priorities. So why do we do it? A fear of rejection is the crux of the problem, but are we really only rejecting ourselves? It all comes down to the way other people make us feel, and generally speaking, when we make someone else happy, we mistake their feelings for our own. What do I want? What do any of us want? We are conditioned to try and make everyone else happy, never stopping to think what its going to take to make us truly happy. Distracting ourselves relentlessly with other pursuits attempting to drown out what it is our inner voice is trying to tell us. Happiness is my ultimate goal, and no doubt everyone else’s too, but searching for this elusive happiness shouldn’t come in the form of seeking approval from anyone else except ourselves. And in the process of seeking out this approval we can at times become so desperate for the temporary high of approval and feeling worthwhile that we put our own needs on the back burner, either by allowing people to take advantage of us, or by dismissing our own needs as a human being. Nor should we look to our parents for what it is that is expected from us. Often times our parents only know what has worked for them, and that’s the only advice they can offer you. Find a partner, settle down, have kids, buy a family car, save up and go to Fiji once the kids are a little older, watch your kids get married, travel once they have left the house, retire, and then you die. But is that really how your life is meant to go? It’s almost a little unimaginative to think that that’s all there is, and a book-read answer to how your life is “meant” to play out. What do you REALLY want out of this life? Think about what it is that truly makes you happy, rather than what expectations your family and friends have for you. More often than not, people are only projecting what they want for themselves. We are all inherently selfish creatures. Who says you need to work 9-5? Who says you need to get married? Who says you need to have kids? Are you any less of a person if you deviate from the well-worn path? Listen to your heart, and follow what it is that its trying to tell you, and don’t be forced into living a life less ordinary by people who are too afraid to follow their own dreams. When you say yes to others, make sure you are not saying no to yourself.